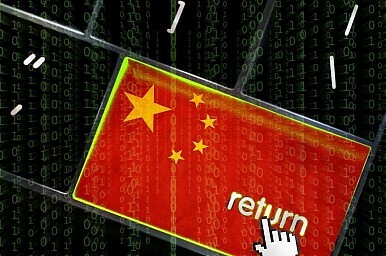 Japan and the U.S. are using ASEAN to further crack down on Chinese cybercrimes. On Saturday, Japanese government sources announced that the U.S. and Japan would work to help the Association of Southeast Asian Nations (ASEAN) boost its technical abilities to investigate cybercrimes, according to Kyodo News. The two countries will contribute $400,000 to send anti-cybercrime experts by the U.N. Office on Drugs and Crime to ASEAN members. As my colleague Shannon noted, the Chinese media responded to the charges with two assertions. The first was that the charges were patently false, and that the Chinese government had no part in state-sponsored cybercrimes. The second was that the U.S. charges were hypocritical, with the Chinese press calling the U.S. the biggest cyber bully, and pointing out that it spent $447 million on the U.S. Cyber Command this year. The Chinese media also noted the extensive evidence of worldwide U.S. cyber espionage produced by former National Security Agency (NSA) contractor Edward Snowden. While there has been no official response from either ASEAN or any of its individual members, the news will likely be more than welcome for countries like the Philippines and Vietnam that are currently engaged in tense territorial disputes with China. Chinese cyber capabilities are expansive, and so members currently at odds with China will seek added protection. China has yet to respond as well. While the amount of funds Japan and the U.S. are contributing isn’t large, it is the attempt to coordinate anti-cyber activity against China in the region that will give Beijing cause for concern. China will most likely attempt to work with its allies within ASEAN to keep the size and scope of this project to a minimum, while publicly confronting Japan and the U.S. over this latest round of cybercrime accusations. If Obama's new executive order is used to sanction Chinese firms, how will Beijing respond? Abe Trades Investment for Security Council SeatImperatives Trump Shangri-La RhetoricIs Japan Anti-China?Japan’s New Imperial Era: What’s in a Name?South Korea and Japan: Where to From Here?